Join Rachel, Kirsty and Sasha for some fun with slime! 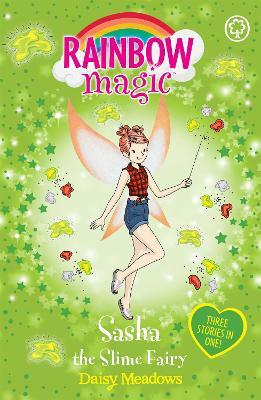 Sasha the Slime Fairy's special magic helps everyone have loads of fun making and playing with slime. From glitter slime to goo slime, all types of slime are Sasha's favourite! But when Jack Frost steals her three special pieces of slime, the magic starts to go awry. Can Rachel and Kirsty help her get them back before the slime adventure comes to a sticky end?